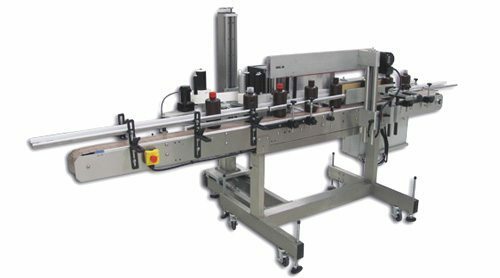 Labels are printed, and as the product contacts the label, it is applied to the leading panel. The impressers complete the label wipe down onto the side of the container. The wrap station completes the label wipe down around the cylindrical containers.